Technology has changed and shaped the nature of art since the first works were created. The digital age has created, and continues to create, endless new mediums for expressing creativity. Art apps for iPads and smartphones began to surface around 2010. Today, there are countless options available for download: Brushes, Tayasui, Art Set, Graphic, ASketch, Inkist, Procreate, The Apple Pencil...the list goes on. Your screen becomes a blank canvas leaving you free to draw or paint a masterpiece with the swipe of a finger. Technology offers new possibilities to artists. 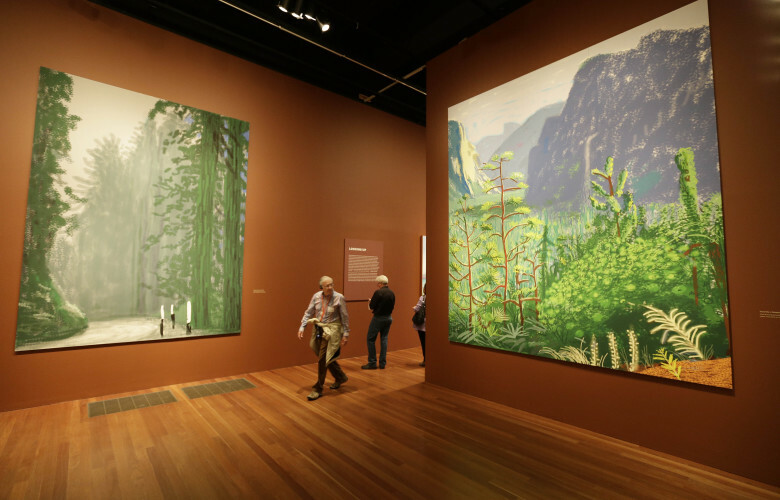 Hockney claims it allows him to match colours and tones faster than ever before. Similarly, traditional oil painter-turned digital artist Kyle Lambert has noted that “the ability to pinch and zoom using mobile apps has given artists the ability to add really fine details to their paintings”. Another advantage of the iPad, according to Hockney: “you can’t overwork the surface because its not real.” “In watercolour”, he explains “about three layers are the maximum. Beyond that it starts to get muddy. Here you can put anything on anything”. Clearly there is a lot to be said for iPad art, but is it cheating slightly? Does it truly qualify as ‘art’? Or is it a less skilled, less ‘authentic’ version of painting? For starters, you don’t even make the colours yourself. And mixing colours in a palette is such an integral part of painting. Perhaps iPad art offers us a sterile, inauthentic version of painting? It doesn’t fit with our romantic notion of the artist’s studio; its paint-splattered floorboards, plethora of palettes and array of brushes. Then again, times are changing. Perhaps to undermine iPad art in this way is to rely on traditional, outdated notions of authenticity. The concept of ‘art’ is, after all, constantly being redefined. Another potential limitation of iPad art is the question of who gets the original version? Or does such a thing even exist? The original screen on which it was painted doesn’t quite hold the same significance as an original canvas. How would this affect its value in the art market? There doesn’t appear to be an abundance of famous artists following Hockney’s example. But maybe it will serve as a wonderful tool for amateur artists; a less daunting means to express creativity? For those interested in iPad art, it is worth attending one of the ‘Live Art’ events, regularly hosted by Apple stores across London. Here, digital artists present some of their iPad work and discuss techniques used. They encourage the audience to bring their own devices and get involved.